31189 passes Portway on 19 August 1985 with the 4D51 12:18 Lawley Street to Nottingham freightliner. 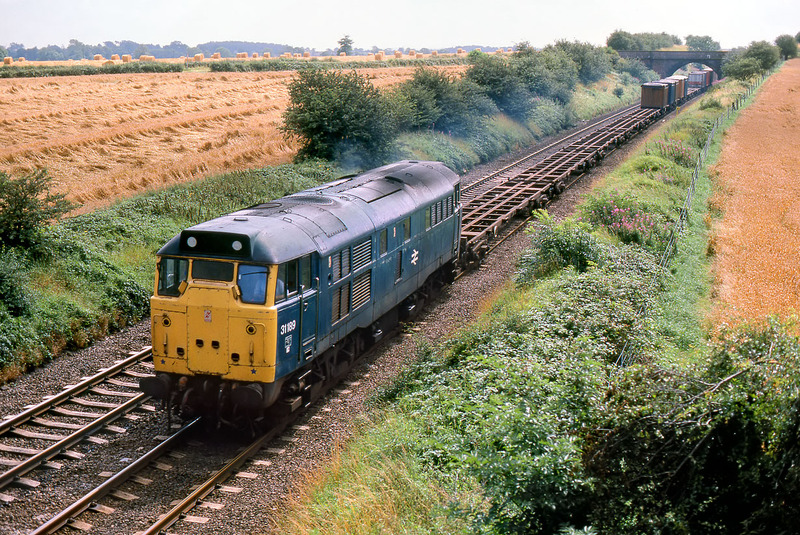 The working timetable unusually indicates that this should be worked by a Class 25, which if it had actually happened would have doubled my total of Class 25 freightliner pictures! A Class 31 is an adequate substitute, but a few more boxes at the front of the train would have been nice!